This Startup Says Its App Can Detect Signs of Depression and Anxiety. Experts Aren’t Sure. Could your fitful typing and scrolling on your phone be a sign that you’re suffering from depression or anxiety? The creators of Mindstrong think so. The iOS app employs machine learning technology to scour patients’ phone use for “digital biomarkers” the company says can signify mental health issues, which could encourage users to seek out a trained professional. The startup has already racked up tens of millions of dollars in funding from backers including Amazon founder Jeff Bezos, and about a dozen counties in California plan to make Mindstrong available to healthcare providers over the next few years. The problem, according to a compelling new feature by STAT: It’s unclear whether the algorithm works as advertised, and few of Mindstrong’s claims have been subject to rigorous peer review. 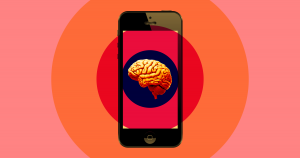 MIT researcher Rosalind Picard, who studies whether information from smartphones can contain clues about users’ moods, told STAT that her own work leaves her skeptical of Mindstrong’s claims. But Mindstrong’s founder, Paul Dagum, is quick to fire back at criticism. According to Mindstrong’s website, researchers tested the app in five clinical trials, but none have so far made it into peer-review journals. The company has published one pilot study — though it included only 27 participants. Since the app might play a significant role in how doctors treat patients with mental illnesses, health officials might want to consider waiting for the peer-reviewed research on Mindstrong to catch up with the hype.